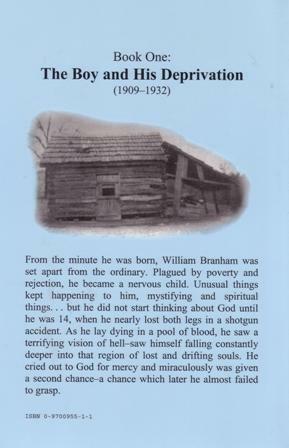 Rev William Marrion Branham, "a man sent from God" with a healing and exposition of Bible mysteries, a ministry unparalleled in our age as prophesied in Malachi 4:2: "Unto you that fear my name shall the Sun of righteousness arise with healing in his wings; and ye shall go forth, and grow up as calves of the stall." Malachi 4:5-6: "Behold, I will send you Elijah the prophet before the coming of the great and dreadful day of the LORD: And he shall turn the heart of the fathers to the children, and the heart of the children to their fathers, lest I come and smite the earth with a curse." Luke 17:30: "Even thus shall it be in the day when the Son of man is revealed" and Revelation 10:7: "But in the days of the voice of the seventh angel, when he shall begin to sound, the mystery of God should be finished, as he hath declared to his servants the prophets". Note: We will ONLY send book #1 (listed below). Click on the cover above to enlarge. We are unable to meet the demand for Wm. 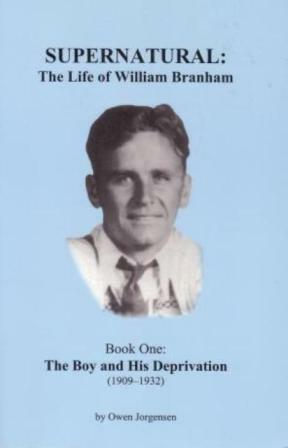 Branham Biography Book #1 at this time. We will resume this free offer when our financial situation improves.